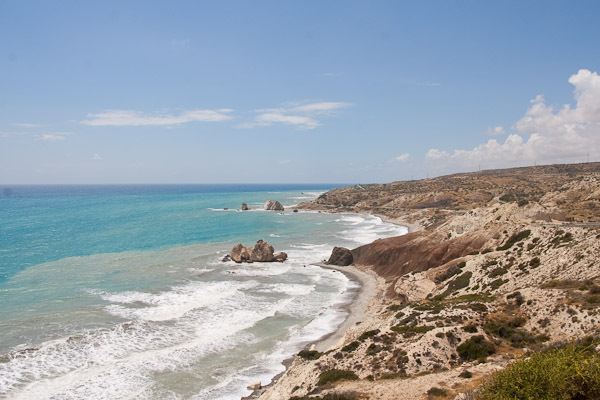 Temple hopping in Cyprus » Kourion, Passing, British, Episcopi, Aphrodite, Beach » tobias cooks! 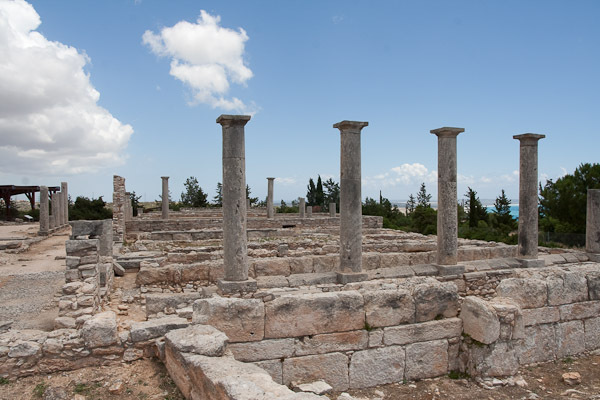 The archeological site of Kourion is very impressive. 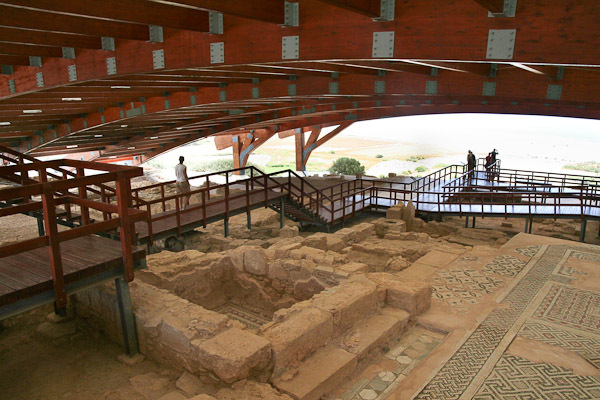 Due to the large number of ancient mosaic floors throughout the settlement the sites are roofed with gigantic tents. One walks in the shade but is still outdoors. 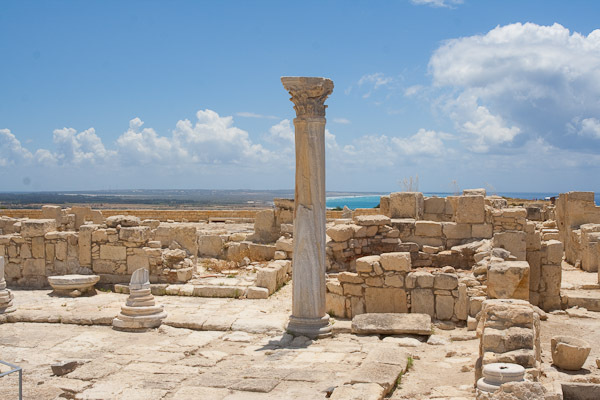 Kourion consists of a number of buildings such as houses, temples and even a bath. One is wandering over wooden bridges in order not to harm the mosaic floors. In those parts of the site where there are no mosaics one can walk freely. The grand location of the settlement offers stunning views over the coast. 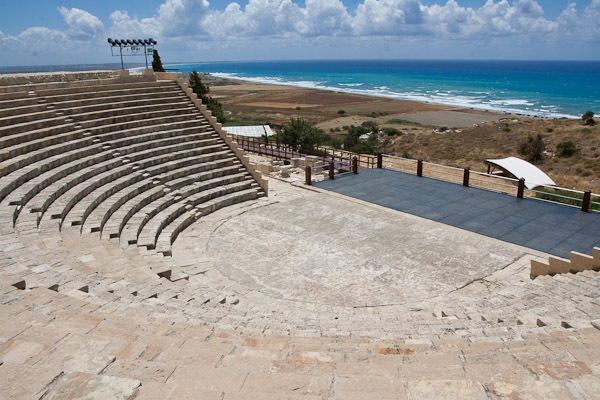 The Kourion theater is still in use today. During the summer months theater plays and concerts are performed here. The settlements are scatting over the hill, connected by paths. 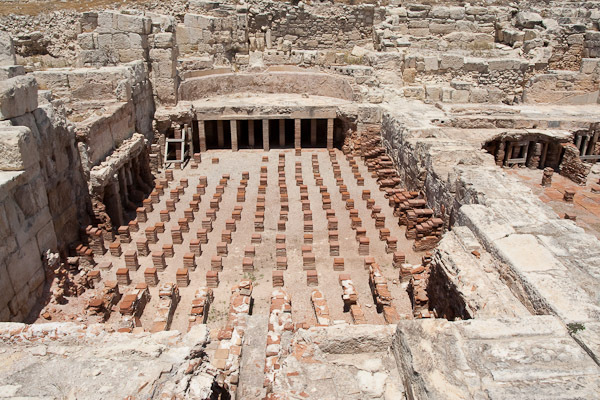 They also had baths in ancient times, functioning similar to a Sauna or Hamam. Here we see the floor heating system of a bathroom. 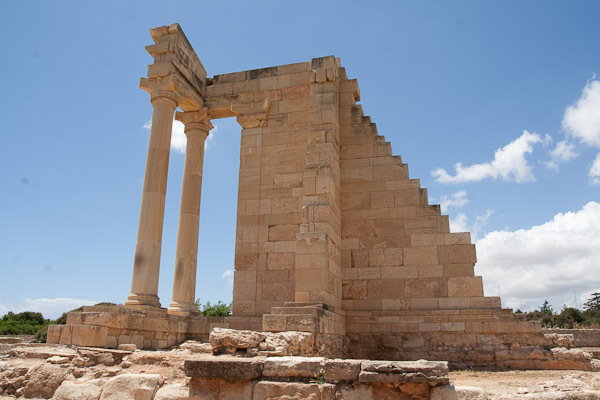 Not far from Kourion is the Temple of Apollo. A much smaller site but certainly worth a visit. here one can also just walk through the ruins. Impressive remains of the main temple. We continued our excursion. Passing the British barracks at Episcopi along the coast we reached the Beach of Aphrodite. It is claimed to be her birthplace. Her you can see the famous rock that is also on the banner of the current cooking event! 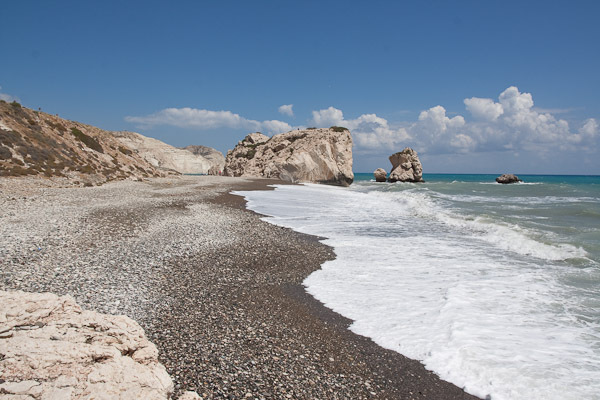 I’ve been enjoying your postcards from Cyprus…you fit all this in one weekend? I hope you found some more tavernas with more traditional local food…the touristy eateries are to be avoided. I was in Cyprus for about a week. No way to do that all in one day. Tomorrow i will have my last post on the topic. It will be a culinary one. Ancient theatres in use today are the best! It’s incredible how superior the acoustics are to those of modern day.